I went to the creek at the edge of the village, which flows into the Yukon River, with Douglas. At first I fished a silver salmon. And then, a grayling and a humpback whitefish. Without a tug for some time, I changed a spinner from an orange one to a green one. After several casting, I got a very strong tug on the line. A pink body danced on the water surface. I dragged it up on the shore by force. 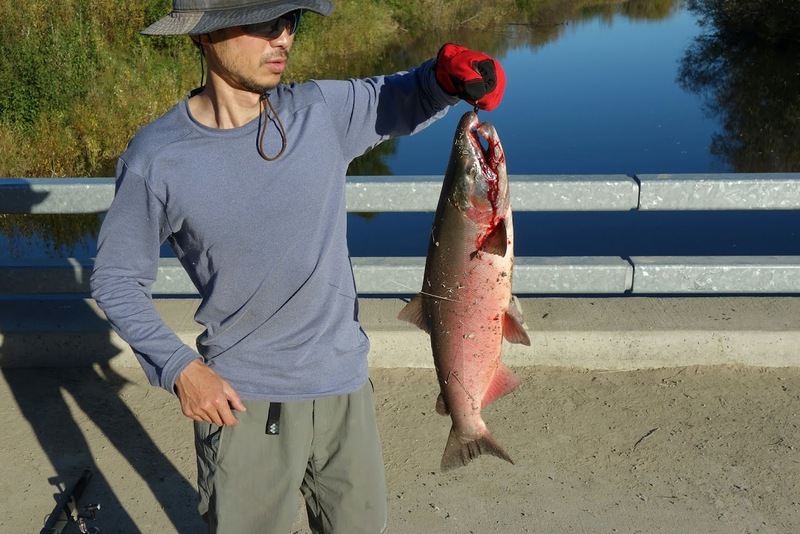 It was a 27 inches silver salmon, and it was the biggest fish I have caught in my life.